Used by World Pro teams Quick-Step Cycling and BORA – hansgrohe, the 4iiii PRECISION Power Meter for Shimano Ultegra 6800 is the lightest, most affordable direct force power meter available. The 4iiii PRECISION power meter is accurate to within +/- 1.0%. In addition, it adds a mere 9 grams of weight to your crank arm. 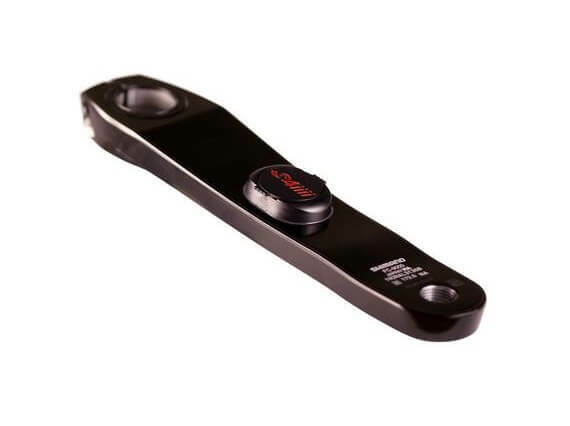 The 4iiii is a left side crank arm-based power meter and takes the power that is generated by your left leg and doubles it in order to determine your total power output. Reliable and repeatable. This is a great product. Hi Ivan, That’s what we like to hear! Enjoy it! I have used the 4iii power meter for just over a month now. I have been very happy with its ease of setup, price and accuracy. Now back to interval training! Hi Doug, Thanks for the review and go crush those intervals! We’re here if you need anything. Bought this product when I visited US for a week, powermetercity delivered it fast without any trouble. the 4iiii itself has been great so far (2 weeks usage with some rain included), though it is left side only PM, the reading is comparable with my old garmin vector (dual side power meter) where they mostly resulted in single digit watts difference of average power and more importantly, it is consistent enough (though, I have not test it on high enough elevation/mountain). Now, I mostly use the 4iiii only, this way I can switch to lighter pedal and get rid of the Vector pods. Hi Ari, Great to hear the 4iiii PRECISION Ultegra power meter is working out for you. It really is a great power meter and we too have found them to be super reliable and consistent. Enjoy it and let us know if you need anything else. Hi Mohd. Thanks for the review. 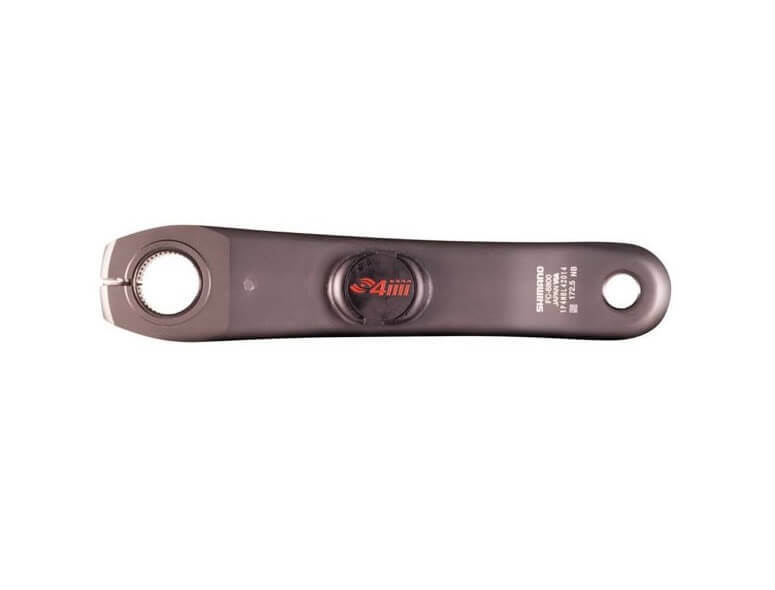 The 4iiii crank arms are some of our most popular units. I’m glad it’s working out for you! Have been using my 4iiii Precision PM for three months now, through all sorts of late fall and wet winter riding and so far it’s been flawless. This was my first purchase from Power Meter City and I was very happy with the speed of order fulfillment and shipping. Will definitely be looking at 4iiii and PMC for my next purchase! Hi Bryan. Thanks for the review. I’m happy to hear your 4iiii power meter is delivering the goods! Keep up the good work and let us know if there is anything else we can help you with! Bought from PMCity while visiting the US from New Zealand back in October 2018. I have a Stages power meter (1st Gen) which has worked fine apart from having to remove the battery each ride but couldn’t go past the 4iiii for price. I have to say that it has worked flawlessly for me and I can only speak positively about its reliability and performance from day 1. My Stages has been relegated to my training bike. Hi Brett. Thanks for the review. Glad to hear the 4iiii 6800 is working well for you. Come back and visit us anytime! excellent product. some trouble synching with Polar bike computers, which are compatible, but other than that, it is working very well. Using it with my polar v800 watch also and works well. Would highly recommend. Hi Sakari. Thanks for leaving us a review on your 4iiii PRECISION Shimano Ultegra 6800. Keep up the good work! After a few month of riding the 4IIII PRECISION POWER METER FOR SHIMANO ULTEGRA 6800 has been working reliably and consistently giving me great power numbers. Battery life is excellent. I had an issue with Cadence numbers spiking every now and again so I reached out to the customer support. Wriley reached out to me and addressed every concern I had including an analysis of my ride through fit files.I can’t complain about the support. It’s great when a product manufacture is responsive and helpful and works with it’s customer. Hi Alexander. Thanks for the great review of your 4iiii. We’re glad you got everything sorted and hope you continue to enjoy it. Please let us know if there is anything else we can do!